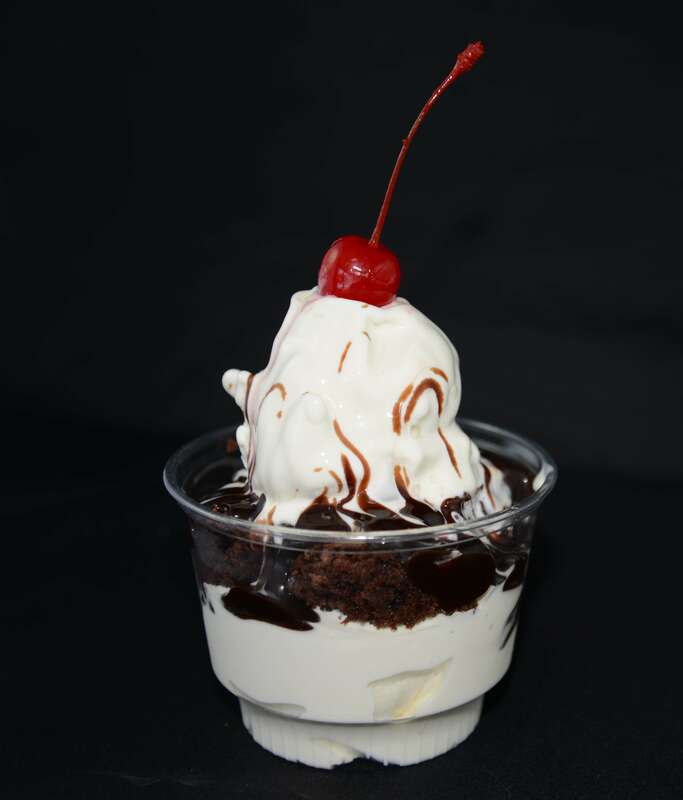 A whole brownie sandwiched between 2 scoops of fresh custard, and smothered w/ hot fudge, then topped w/ whipped cream and a cherry! 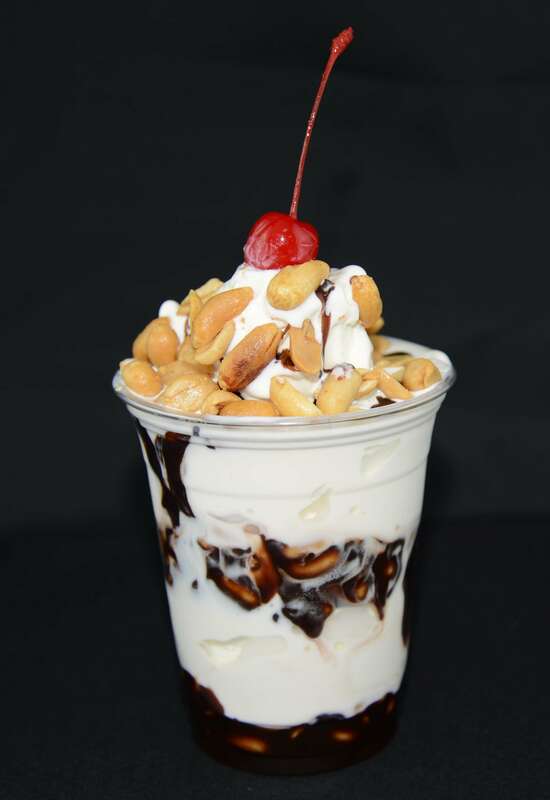 Three layers of hot fudge and peanuts surrounding 2 large scoops of fresh custard. 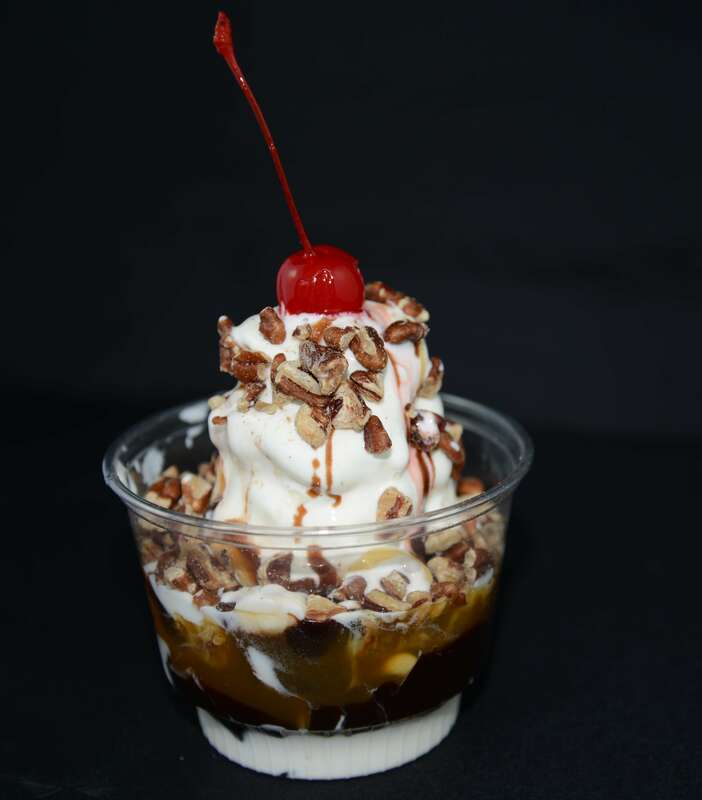 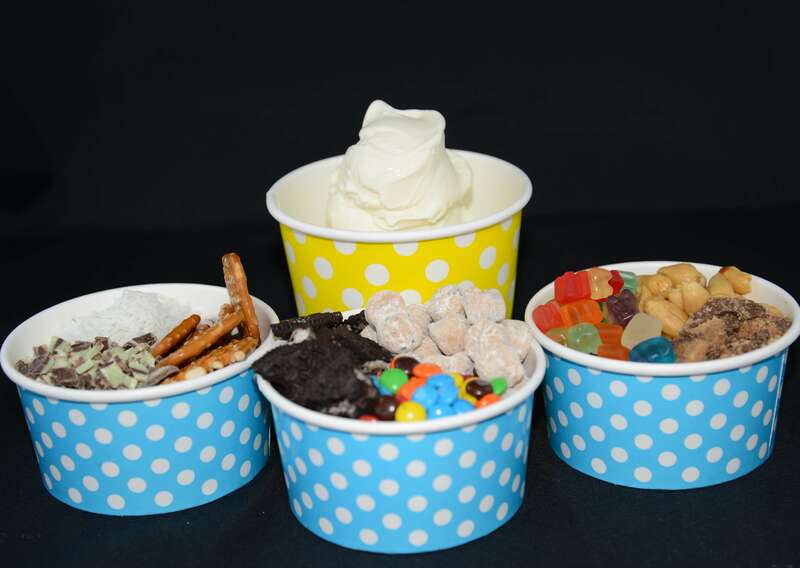 Fresh custard topped with one of our delicious toppings, whipped cream, and of course. 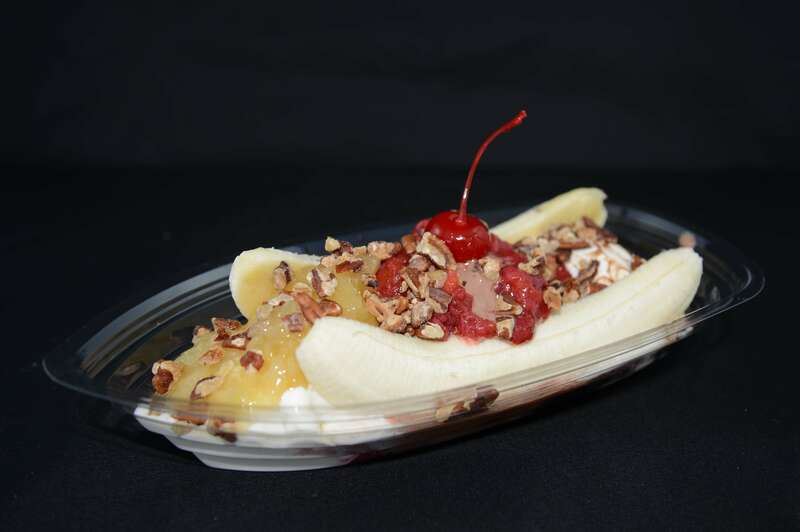 . . a cherry on top!